I'm excited to tell you about a new product perfect for busy food allergy parents like you and me. Safe & Happy Family graciously sent me their new Food Allergy Binder (TM) to try out. It's an especially helpful tool to keep you organized this time of year. You know, for those back-to-school meetings with teachers and any other new caregivers. I REALLY wish I had this binder when Little Guy was first diagnosed with his food allergies 5 years ago. It would have helped keep me organized and store all of his food allergy medical history and notes (like new foods we introduced, etc.) in one place. Can I show you how this beautiful red binder can make your (and my) life easier? Take a look at my current way of organizing in the below photo, On the left, you see lots of messy folders and a zip-lock bag full of old EpiPens and trainers. Then take a look at the beautiful, eye-catching and organized red binder on the right! Everything fits in this ONE red binder...and there's room to grow! It includes quotes throughout the binder from real food allergy community members and experts. 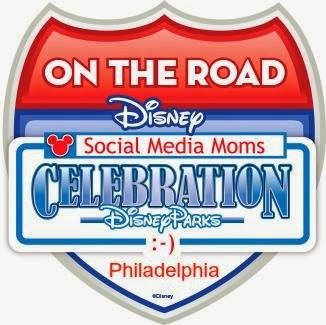 The quotes offer helpful tips and inspirational content. It's especially perfect for a person just diagnosed with food allergies. I wish I had this 5 years ago! This binder would be helpful for baby sitters, child care workers in your home or family members who watch the kids every now and then. 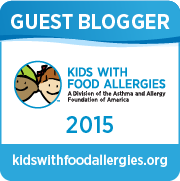 It offers ONE place to view your child's full food allergy history. I recently went through an old notebook and found Little Guy's old menu ideas and a food diary I kept for awhile. History like this is important. It should be kept all in one place. The red color of the binder is eye-catching. It's very easy to spot in a messy drawer or a busy bookshelf. The binder is expandable. It will easily hold a TON of information. 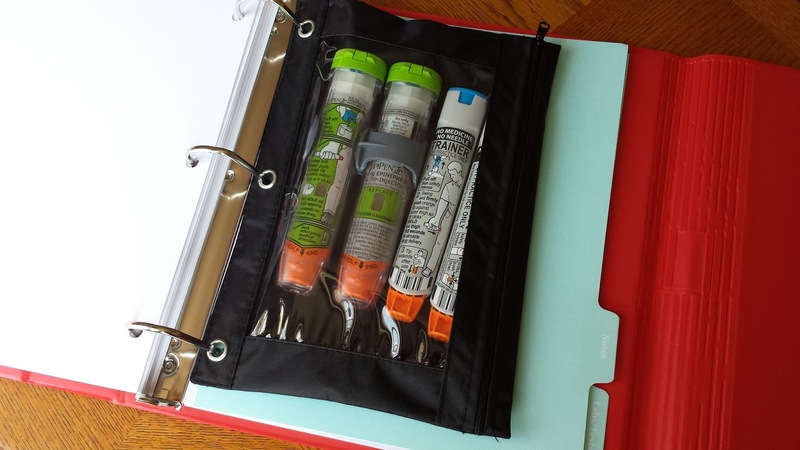 I love the black bag included in the binder to hold old EpiPens, trainers, food allergy bracelets, business cards, or other food allergy related items you want to keep together. Isn't this better than a messy zip-lock bag for Little Guy's expired EpiPens and trainers? I keep these together so I can use them every time I meet with a new teacher or caregiver. There are also so many helpful sections in this Food Allergy Binder (TM). 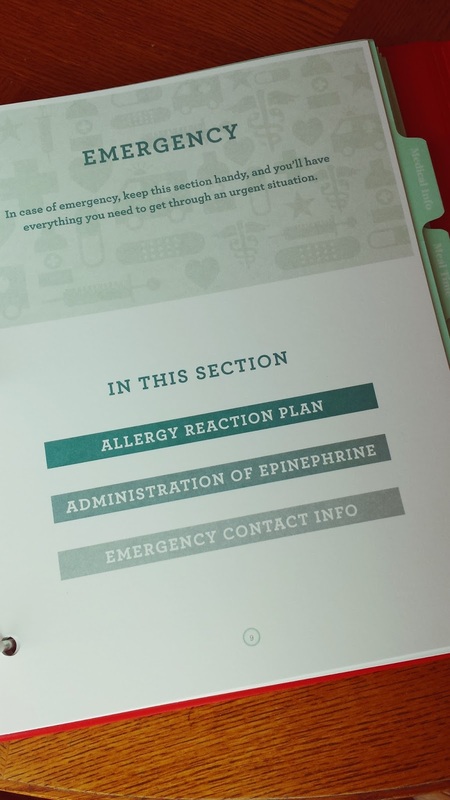 For instance, there's a place for your emergency action plan, but there's also additional content to educate you about food allergies. 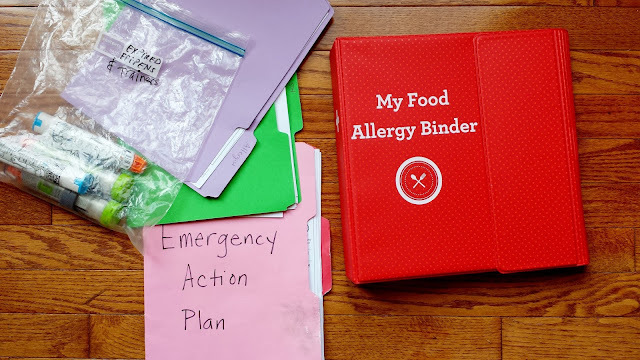 I highly recommend this binder if you're just starting your food allergy journey, or if you need to keep your food allergy documents organized! 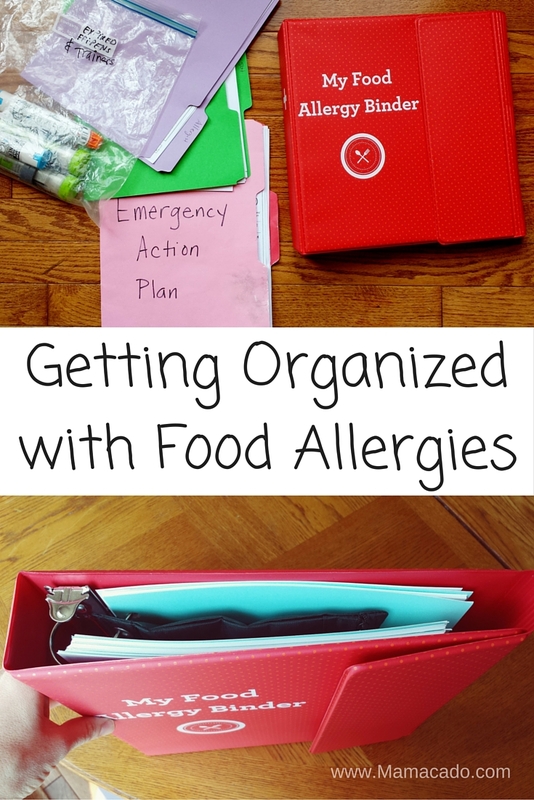 How do you keep yourself organized with food allergies? Thank you to Safe & Happy Family for sending me this Food Allergy Binder(TM) to review! All opinions are my own. I'm so glad you have this Kathryn! It certainly does look very organized and helpful for you and little guy ! Thanks Diane. Yes, it's a big help!